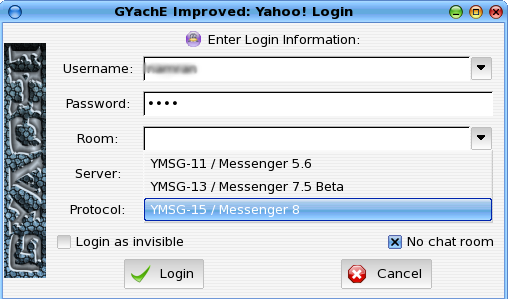 Because yahoo is now retiring Yahoo Messenger version 6.0 – 7.5 .. This is according to Yahoo Messenger Blog.. 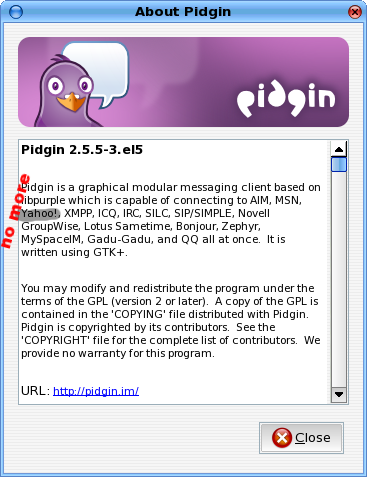 I don’t know if Pidgin 2.5.6 already supported Y.M 8.0 protocol.. It is happening since this morning.. yesterday still can..
1. Use yahoo web messenger. 3. 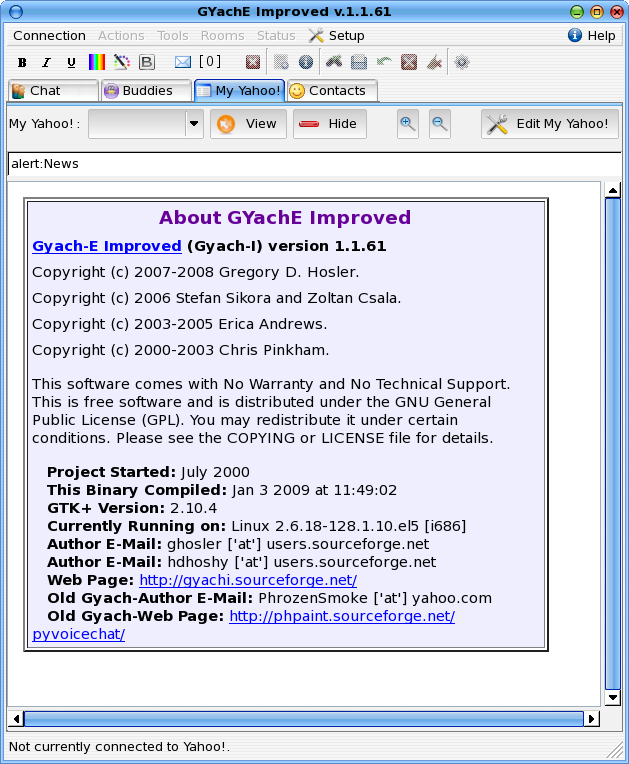 Install a client that support Yahoo messenger protocol 8 . Kindly select the latest protocol.. else you wouldn’t able to login to yahoo..
1. because of the spammer tend to abuse and send massive junk message to user..
2. security concern over the booter/flooder user attempt to hurt each other. 3. stop and fix flaws in previous protocol. 5. encourage usage of built-in chat box in Yahoo mail.. now can popped up to the bottom right of the browser also. So .. a bit less damages .. unless for some “long-time-no-see” friend which only connected via yahoo. !